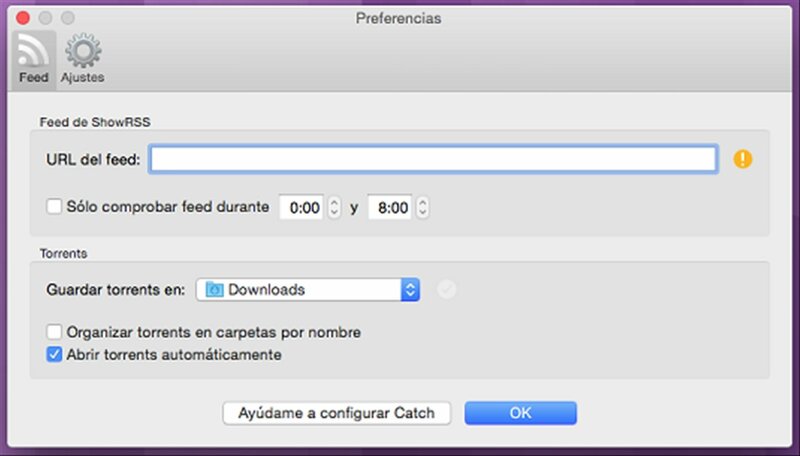 Downloading your favorite multimedia contents to your Mac is really easy once you learn how to use Catch. This application works together with ShowRSS, the popular site that allows you to generate RSS channels with your favorite TV series. 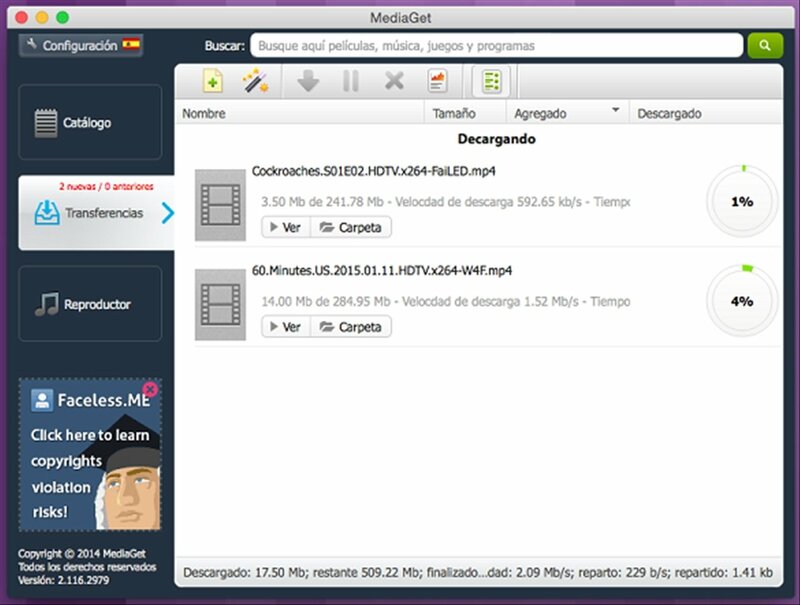 With this application you can configure the download of the latests episodes of the series you usually follow so as to not miss out on anything. 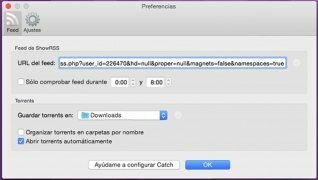 Download torrents to your ShowRSS feed. The first step is to register on ShowRSS's web service, you only need a username and a password. Then create your list of series from the section "your shows", choosing them from the drop-down menu. 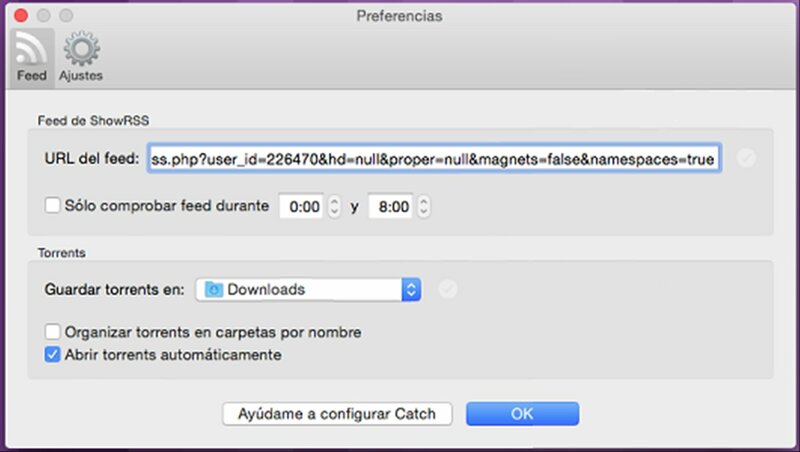 Now access "feeds" and generate the feed's URL that you're interested in, making sure you mark these two options: "Disable magnets" and "Enable namespaces". 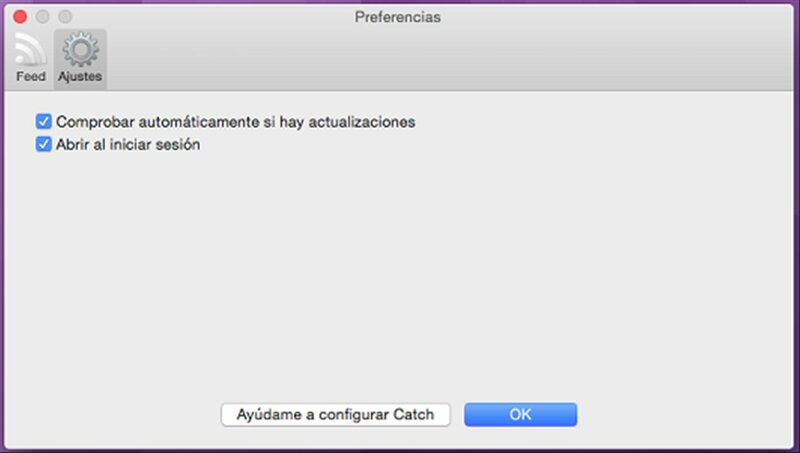 Finally, you have to insert that URL in Catch's preferences. Press "OK" to finish the process. 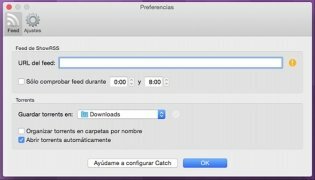 At that precise moment, the application will start running and download the torrents you have configured by default. 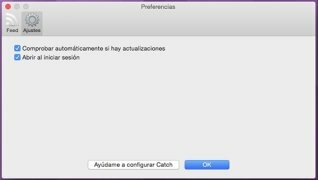 Minimum operating system requirements: Mac OS X 10.10.